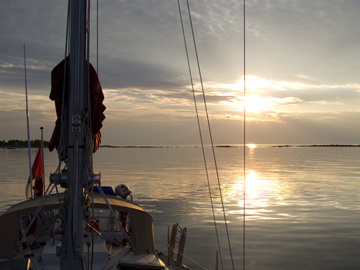 Venture Sail conducts Marine Surveys of sailing yachts for owners and prospective purchasers. A thorough inspection of the vessel is followed by a comprehensive report which includes complete Findings and Recommendations. We also offer instruction for the Individual or Couple in the art and science of Cruising under Sail. This is achieved using Experiential Education techniques on your own vessel or aboard our floating classroom, Saorsa II, our Niagara 35. Please download our brochure and charter crew instructions.